Having personally adored the first Attack on Titan hack and slash game – you can read my review here – I’m looking forward to swinging around slashing giant idiots on the back of the neck in Attack on Titan 2. Gearing up for launch we discussed the upcoming game with Attack on Titan 2‘s producer, Hisashi Koinuma, who has worked with Koei Tecmo as a director and producer on titles such as Hyrule Warriors, the Samurai Warriors series, and the first Attack on Titan game. Attack on Titan is known for its fast and ferocious combat, and on paper it should be something that is hard to translate into a game. For instance the way the characters move around alone makes the head spin. I asked Hisashi how he captured that essence in the games and how they made it feel good to play. “I think we were able to adapt the omni-directional mobility gear into the game for an enjoyable experience and it works well,” he said. Movement from the first game. The first Attack on Titan game was great, but it did feel held back by the arcadey nature of the combat. 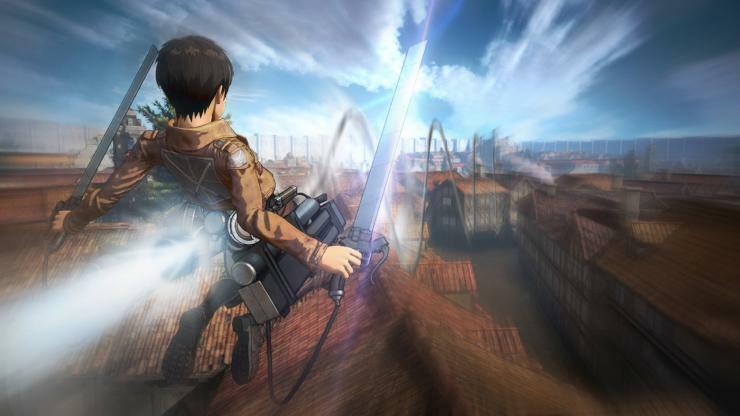 Rarely did the titans ever feel like a serious threat or as scary as they do in the comics or show, so I asked Hisashi how they went about adding to the experience in Attack on Titan 2. “The realism and the ferociousness of the Titans is what we aimed for and focused on to get the fearsome aspect for the second game” he said. Although the first game wasn’t exactly chill. Putting more fear into the game sounds like a winning formula to me. The very essence of Attack on Titan is terrifying and intriguing at the same time. Giant monsters devouring people for the sheer hell of it is something that speaks to a base fear around meaningless and primal violence – at least that’s how I feel about the series. I asked Hisashi what it is that attracts him to Attack on Titan. 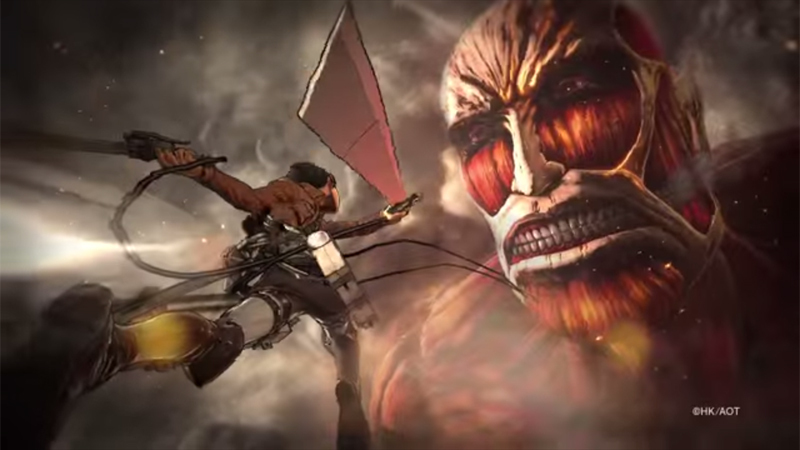 Attack on Titan 2 will be launching on PS4, PS Vita, Xbox One, Nintendo Switch and PC on March 15 in Japan and on March 20 in other regions.